It’s great being a professional hoarder. I collect useful things and stash them in the depths of my desk. I never find myself lacking in resources or ideas for last minute activities. I have cut out and stick, matching, colouring, DIY board games galore! Anything is within easy reach and can be grabbed in an instant to save me from an emergency school situation. I came across an old guide book to Thailand that I haven’t looked at for at least a year judging by the amount of old exam papers that it was buried under. I now have over 12 different colour, shape and size post it notes. I even dusted off a few Guess Who game sets that had been donated by a teacher who has already flown the nest. I too have been donating, carefully selecting certain teachers for certain resources – these things are precious pieces of art to me, many of which were created by my own hand – one cannot simply cast them aside onto the recycling pile. I could probably give everything away. I’m moving to a school that actually has resources – this will be a shock to the system. They might even let me print in colour!! Lets not get too carried away just yet. And so I have condensed my hoard of treasures into one box and a carrier bag, to be carried home and moved to Phuket and stashed away in my new desk; because you never know when you might need something! Posted on February 27, 2014 October 11, 2014 by cornishkyliePosted in Expat life, Random thoughts, TeachingTagged changing jobs, resources, teaching, TEFL, Thailand. Next Next post: An ode to Yum Gai Sap. An amazing post there Kylie; brought a smile to my face…I have already started making and collecting resources as I agree with you that you can never have enough resources!! Thanks! I am a total geek when it comes to making my own resources – you try and peel me away from a laminator! 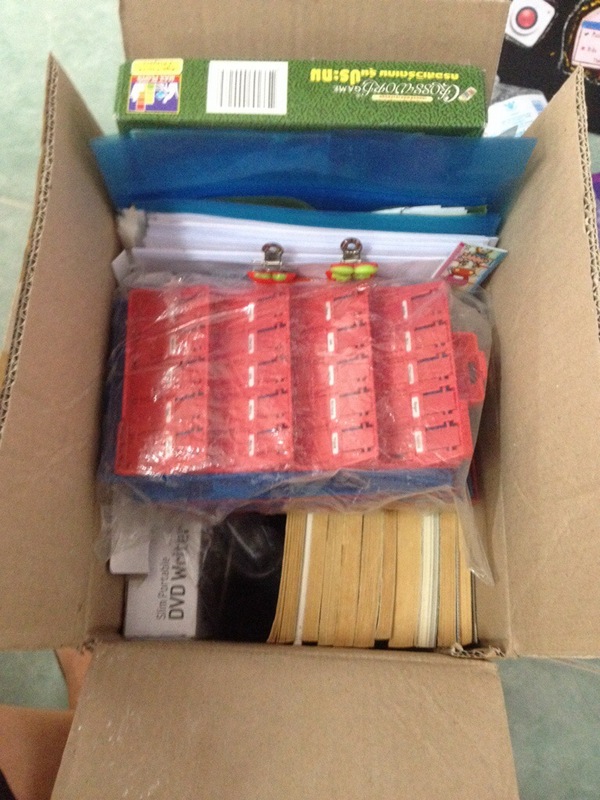 A good friend has just left at my school and I’ve got a box of treasures to look through on Monday – exciting times!